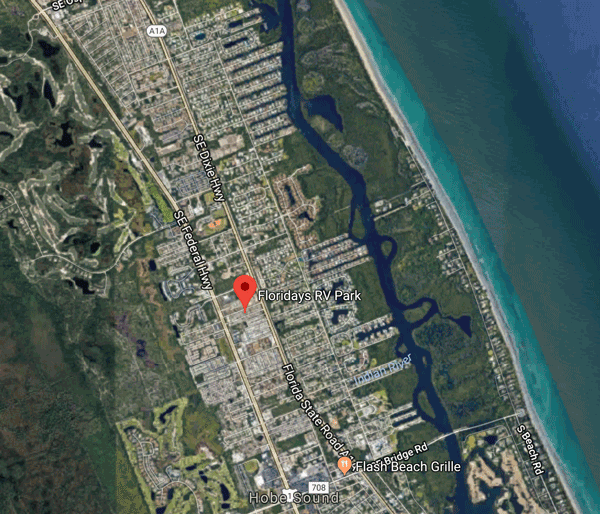 On August 28, voters in Hobe Sound, the hometown of Floridays RV Park, will decide whether or not to incorporate as an official town. The debate seems to be about different visions for how to move into the future while retaining the unique character of Hobe Sound. For those in our Park that are permanent residents, or just anyone interested in the potential outcome, the following is a little background and a few resources. Hobe Sound is one of the last truly small towns along the eastern coastline of south Florida. It has a small population of about 15,300 people. People live in Hobe Sound because they enjoy the small town feeling, lack of traffic, low crime, and an “Old Florida” feel. Read about the history of Hobe Sound here. Currently, Hobe Sound is not officially a town at all—it’s a community governed by Martin County. Even if Hobe Sound incorporates, most of its services would still be provided by the County, including fire & rescue, law enforcement, and other important services. In 2017, a few long-time residents and business owners in Hobe Sound became concerned that Hobe Sound could become overdeveloped or lose it’s historic small town environment. They paid, with their own money, to have a Feasibility Report drawn up. You can read it here. Opponents of the incorporation effort are also vocal. You can read letters of opposition published in the TCPalm News here, and in the Palm Beach Post here. There have been numerous meetings to debate the plan and answer residents’ questions. If you live in Hobe Sound but never attended a meeting, you can learn more and watch a video about protecting Hobe Sound on their website. Regardless of the voting outcome, Floridays is committed to remain a “little bit of paradise” with friendly neighbors and a laid-back way of life for those who enjoy the RV Lifestyle.